REVIEW: The sequel of King of Fighters: R1 adds a few new characters to the original roster, such as: Kasumi and Saisyu. KOF: R-2 also introduces new backgrounds based on King of Fighters '98. The gameplay is straight forward, and overall it plays a bit smoother than the prequel. The music also improved over the prequel, presenting some familiar tunes that any KOF fan will immediately recognize. 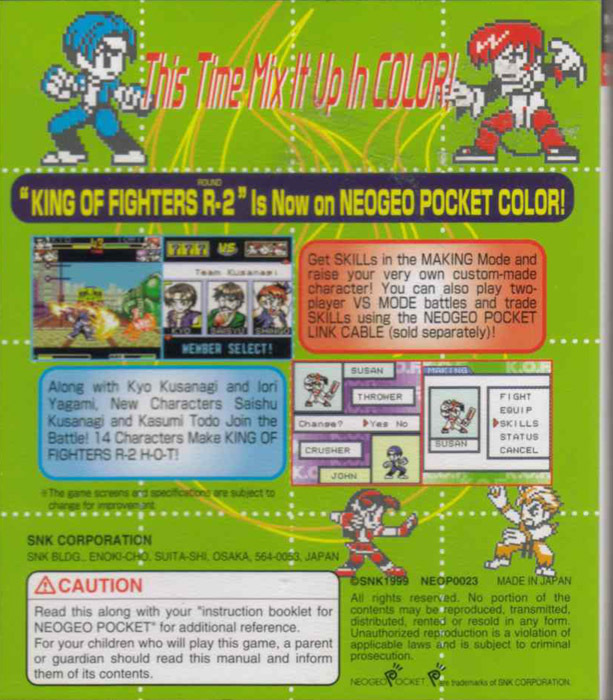 KOF: R-1 includes an obscure "Making Mode" which basically allows you to edit a KOF character's skills and rename them... kind of lame if you ask me. Graphically, the game looks far better than the prequel... most notably because it added "color"... which, as it turns out, is kind of important. The cutesy, super-deformed art style is still charming, and gives the game a defined look. 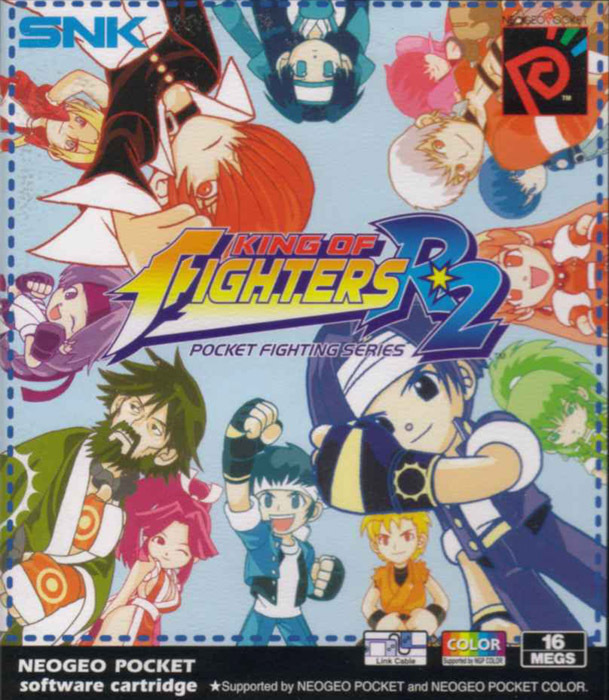 All in all, King of Fighters Round 2 is a must have/must play for any KOF fan, and was a great looking handheld fighting game in 1999.